Whenever we 'congregated' on whatever occasion, the "Monopoly" was the bond for every body and card for the lads. In the middle of a great numbers of white men, Dec 1974. The winter was very cold in England. I felt it deep in my bone and turned all the muscles numb. The last friends to leave after the break were Raja Daniel and Wahid Samsudin, Jan 2 Thu, via Piccadilly; after a short visit to the X-mas sales in central Manchester: Debenham, C&A, and Lewis's. But work would not resume till earliest by Jan 6 Mon, and the 2nd term of the undergraduate even would start on Jan 13 Mon, so we 'took' another break in Belle Vue: Amin, Osman, Ibrahim_Azizah, and Yusof_Maimon. And even to Leeds, Jan 6 Mon: Osman, Tg Sidek, Khalid, and Zawawi (of Leeds), and while there, I visited Abd Rahim Samsudin who was sharing a house with Chamhuri, with their wives (they returned the visit to Salford on Mar 1 Sat and had meal in my house/room with Ibrahim_Azizah); and a lot of Khalid's friends. I had a very clear world by then, both at the university and the residential hall. My works specifically was on the physical polymeric properties of gum ghatti coded commercially as CD75, a natural floral polysaccharide currently seeking applications in the food industries and phrmaceutical formulations. In Dr Pass group, I got the assistance of Martin Jefferies, the technician and a PhD student Aslam, a very nice Pakistani. David Wedlock was finishing and Bernard Courtney, Dr Lawton's PhD student was in the middle of his reaseach. He stayed with his fience not very far from the Village, and sometimes bumped up in strolling together to or from the university. I was wondering that they rather matured and chose not to stay in the Village, instead in Lancaster Rd, near it; I once (Feb 11 Wed 1976) gave them lift to his place and dropped for a cup of tea. There were George and Ken the general workers, always available for help. Charles Khunsa, a Ghanian was writing up his PhD thesis, also under Dr Pass, and showed up in the lab on and off; spoke very african English. Sister Wilson, an American was on her PhD under Dr Dyer. She was a nice girl very fit in her black and white uniform. The lab I was working was adjacent to another more sophisticated lab, but it did not occur that I needed to work in this lab. Observing the hydrostability; measuring the viscosity on Rotovisko; with constant lab-mate Aslam; a visit by project finacier Nicholas; and a discussion with supervisor Dr Pass, technician Martin Jefferies. On Jan 30 Thu I had a small hitch with my course. Prof Philips who was very accustom to UKM, wanted to take the group including me to North Wales Polytechnic in Kalcerton to do my reasearch there on the current project, to dress up his ambition of upgrading the polytechnic to a university. I would then be very far from my supervisor even though all the instruments I needed would be carried along with me. As a kind of 'bribe' he even gave me to browse the report he was submitting to IUC about his recent visit to Malaysia end of last year which he said he included the students demonstration. I took a month to say 'no' to him in Kalcerton via phone on line in his PA office in Tower Block. However, Aslam and David Wedlock went, the instruments I was using, a Haake Rotovisko RVII were still with me. Afternoon lunch in the Students Union cafe (Amin, Mat Zakaria and Maung Kyaw), a literature search, borrowing journals, and an after-dinner in the hall (Mat Zakaria, Bern and Zack). At the Village three of us shared the house with seven others, two Greeks (one was Sarkis), two British (Bern a very nice handsome quiet English, and Richard, the small guy but full of mustache), one Burmese (Maung Kyaw), one Iranian (Hameed) and one Sierra Leonese named Zack Williams. All were post graduates. A few days after our arrival, Rahmalan (also a SAS-UKMian-mate, UTM tutor) arrived to stay in House 31, next door. Four of us then shared the cooking utensils and took turn in cooking dinner. In one chat with Zack who graduated from Liverpool, he said he knew a Malay there with the name description which pushed me to fit it to En Rasani, the person who donated fifty ringgit to me in 1972 in order to rush for my father's burial - when I was helping them tutoring the students in Kg Pandan. In 1977 I accidently met En Rasani again in BBMB UM, but I had no chance to confirm it. There were many Malay undergraduates staying in Castle Irwell, in particular close to us were Mohamad Amin Alias (a Kelantanese) and Osman Musa (from Ipoh). They spent their time with us as much as they did with their course-mates. There were also many post graduates, notably SAS-UKMian-mates, UTM tutors. As the months went by, things became very routine, thus boring set in. I bought a car, DTD425E blue Cortina early last December, and by February this year my room was full of noise-producing intruments to counter the pressure of outside silence which was tearing my heart into pieces. Prof Mohd Ghazali, our NC (Acting) in UKM, visited Salford on Mar 10 Wed, perhaps, a return visit under IUC. Prof Phillips, the host, asked me to arrange all his transportation, fetching at Piccadilly in late morning, a lunch in the Union House with all Malaysia Prof Phillips could gather, and off to Wales with Prof Phillips; fetching again at Victoria the next day to spend the whole day through the night with mostly UKM-grads in Jamal's flat, Ellesmere Ave (Dr Md Nor, Mcr, and Hassan, Lon, were accompanying); took him to Salford again the next day for a meeting and from there 'disappeared' to New Castle Upon Tyne, which we knew only the next day Mar 13 Thu when we phoned Mokhtar Bidin. Tea party, post-Malaysian Cultural night, Mar 16 Sun. In February I was ill with a very high fever, the kind I had not experienced before back home. It started on Feb 8 Sat afternoon in the gymnasium when I tried a couple of strokes of badminton with the undergraduates. It was not good in the winter cold. I caught a high fever. It was pain throughout my body with a severe headache. Ibrahim (a Custom officer, and his wife Azizah) in Prestwich took a great care of me. I spent the night sleepless in their place that night (the night their land lord got angried because we put up) and had Osman drove me back to the Village the next day to contain my fever; and the next day, Feb 10 Mon, to the lab because my finacier Dr Kepadia of Nicholas was visiting. Fortunately it subsided after the days with only my traditional medicine: drinking a lot of hot water. By Feb 11 Tue I could well stand on my two feet after a hot shower, although I could still feel the pressure in the ears which dragged to the end of the week. Mar 5 Wed, Malaysian had their Malaysian Night in the Union House. My car helped them a lot, and was a lot more many days before that, including a post-gettogether on Mar 16 Sun (House 53 - Asmah; the day Lajis -SASian 69, and Sulong Muda PMidin 65, visited us from Glasgow - on motorbike). The first outing this year began on Mar 23 Sun, in two cars, Ibrahim_Azizah, Jamal_Siti and Aminah (Along) we went to Leeds, York, Sheffield, Huddersfield, then back through Oldham; followed by the next day night by joining the undergraduates on a coach trip to Brighton for SASA's Malaysia Students Association (sports carnival). The vanue was in the Brighton College of Education, but my target was Azahari (and Ramli Jaya) at 5A Park Village of Sussex University, on the opposite side of the street, who I immediately met with Atan on the morning we arrived, as well as the arriving Bachok and Kamaruddin Saadan. It was snowy in the morning and I spent most of my time 'sporting' in the snow, rather than watching the sports. We returned home in the evening of Mar 27 Thu in a very cold night, everyones' bladder were exploding that the coach had to stop in a pub somewhere in a city the middle of the night to 'unload' (after I had it in a plastic bag at the back of the coach - as they said like in Bangkok). Snowy in Brighton, Mar 1975. L-R: Bachok, Atan Sharif, Kamaruddin Saadan, a Pak, Mat Zakaria, Ramli Jaya; Azahari shot. Not in Manchester where it is in wet north west of England; seniors said it rarely snowy in Manchester, in the past few years. L-R: MatZakaria, Ramli Jaya, Md Som, Osman, and Atan. With a bit of obsession with the snow, Ibrahim_Azizah and Osman towed me to a supposedly more snowy northern drive, to Scotland, Mar 30 Sun. And we arrived at Strathclyde and put up with Sulong Muda and Rashid Mohid. And a good look the next day in the 'black' city of Glasgow while the Cortina began to produce black smoke. Heading home via and after seeing Edinburgh, the castle, the beach and the wide wavy fields, intending the country road, the smoke became blacker and blacker and eventually blocked the rear motorists. It was time to call AA for rescue at a country road near Cockburnpath. Calling AA in a country-side in Cockburnpath, Mar 31 Mon, 6 pm, diagnosed major break down, towed to town to be relayed back to Salford; 11 pm relayed at New Castle; at wee-hrs at Leeds; and finally arrived and unloaded in Castle Irwell, Tue morning. The car eventually was equipped with a new used engine in an AA-recommended garage in Victoria at 167 pounds and 'roared' back on the road on Apr 17 Thu; on time for MPPM dinner at the university Hall of Resedence at Oakland Road. Summer term began on Apr 21 Mon. Buckled by the too much seeing places, I felt I did not do very well with my project, plus some regret that I spent rather on the excess on the noise producing machines, the car and its needs when moved from a place to place. A salt added to the wound on Apr 20 Mon in the lab when I found out all instruments were used up, the nitrogen tank, the pH meter, and my figures did not agree with what were expected. As always, under pressure, things returned the next day and during a few days after that, when I arrived at the lab at the earliest morning and left at eight at night. May 5 Mon we all celebrated the birth of Maimon's baby boy (Hilmi) in St Mary Hospital, Manchester. For the next five days I ferried friends who were visiting Maimon in the hospital and at Eccles; from the Village: Osman, Amin, Nazaimon, Hasmah, Aminah, Rosmani, Anis, Md Soot; from other places: Ibrahim_Azizah. And to early June for those in Mcr's peripherals: Sharifah Mastura (Sheffield - Jun 1 Sun, I took her down from a casual drive with Md Soot and Maung Burma to Leeds and Sheffield), Rahim (Leeds - coincidentally Jun 1 Sun), Bachok (Lancaster - Jun 6 Fri). When Yusof was sitting for his MSc 'do-or-die' exam from May 12 Mon for a week, I helped them 'baby-sitting' and 'house-maiding' in their flat, letting Yusof to have his regular hours, while I helped Maimon and the baby with their needs at any hours, odd or even. The article written by Pat Pfeiffer subjecting my evolution as a revolution, was published by The Asia Megazine on Jun 29 Sun; a copy of the megazine was posted to me by Salmah and Rohani Ahmad which I received on Jul 7 Mon. Locally the subject was rather outdated. Salmah Kasmani was the chemistry dept secretary when I left in Sep 1974. She kept me informed of the dept development. When Dr Noramly moved to the deanery, she was moved along. In mid Sep when Azahari returned to Malaysia, I posted for her a watch-necklace. In Oct she sent me a cake via Dr Reed who returned from exchange programme in UKM. Since then she was very busy in the dean office. Hilmi was a 'starlet' at the time because he was probably the first baby born in the area around the time. A "cukur rambut" ceremony was held in the flat for him on Jun 13 Fri, attended by almost all in the area; fully-packed in the flat. I spent most of my May-June days with Yusof_Maimon in their flat and around Eccles. Many days I returned to the Village only to check the mail. I felt a sense of closeness because I was never unwelcomed. Summer 1975 was very hot indeed; in my room in the Village, it was impossible to stay without the window opened; and it was impossible to drive without the windows rolled down. Many times the temp reached more than 100 F (>30 C). I unleashed my 'unrestlessness' a lot in Summer 75. Ending June I covered Mid and North Wales (on Jun 29 Sun with Md Soot, Pauzi, and Bachok - dropped in from Lancaster with the news that he would not make it there and were on arrangement to re-enroll in Reading; and hang around the Village to Sep end), through Chester, Aberystwyth (seeing Basir at the University College who followed us back to Mcr and then on his own to Scotland - and another UKM staff, Jamaludin Md Jahi), and Colwyn Bay on the return journey the next day. Then July 4 Fri we were in London again (Ibrahim_Azizah, Jamal_Siti, Wan Abdullah_Azmah), seeing GB while sending off Maimon (and Aminah) at Heathrow, who was taking Hilmi to Malaysia (to leave Yusof to tango with us to July 22 Tue); putting up in the Sibly Hall, Reading (Sukiman et al); a day in Reading the following day; another day around MSD, Hyde Park, Marble Arch; off home to Manchester after dinner with only one stop at Birmingham. I slipped along in Maimon's lugage a very invaluable parcel for my mother for she had a job to do at home for me. Jul 17 Thu I sent off Ibrahim_Azizah at Piccadilly Station on the way to London en route home for good. Amin and Osman accompanied, the latter to London. July 19 Sat, Md Soot, Yusof and I were heading towards south-east to Macclesfield, Nottingham, King's Lynn and a stop in Norwich where we dropped for Hamdan in Norford Terrace - NF0210 - of the University of East Anglia and Satapah (put up). The former tagged along the next day up to London Heathrow; for the first time I saw London with a close view, its London Bridge, Tower Bridge and the surrounding spots; including a stay in MSD in Brynston Square for the night (and got up very early in the morning to 'refill' the parking meter), and a stroll the next day Mon in Oxford Road and New Oxford Road, and the Hyde Park (then I knew the so-talked Hyde Park Corner) before proceeded to Reading in the afternoon for a chat (and a 'nap') with friends in particular Wan Mohamed and Raja Daniel, including a movie in Odeon - The Paper Tiger, played by David Niven, said to be shot on location in Malaysia, a film I had wanted to watch in Manchester, but did not have the chance. Our 'mission' was actually to accompany Yusof to fetch Maimon on arriving from Malaysia on Jul 22 Tue at the Heathrow, on from there trottled back, on A roads via Oxford, Stretford-upon-Avon (supposedly Shakespear's home), and Belheim 'place' for a break, to reach Manchester by mid-night. Late Jul was a real autum, in England and in me, and another shadow hang over me, like the one in Feb last year. However, I had no mean to unstress it. It happened that Bachok was around, and my noise-producing machine (a Pioneer SX434) which I bought in London last winter was recycled to him, nontheless, with an eye on a louder one, a Sansui Au7700, couriered direct from Liverpool to the Village on Aug 1 Fri. The shadow disappeared at the end of Aug. By the second third of Sep, the shadow appeared as a cloud to rain to nourish the soil I was standing on, by giving a consent to my mother for a girl who was sitting for her STP at the year end, who lived next to my brother's place in Paya Datu whose name was Azizah. I received her first letter on Oct 3 Fri, two days before we celebrated Eid on Oct 5 Sun. In early Aug we heard the out-going and arrival of my batch UKM-graduates-tutors in England, USA, and Canada, just like I was at about this time last year. They were mostly in Life Sciences area; a year late because they continued their hons year. The first one to arrived was the one and only Tajul and his wife Noraini, who arrived on Jul 30 Wed to study in Manchester; who I took from off Heaton Road, Wittington, for a 'tour' on Aug 3 Sun around the Village and Eccles. Nasiman Sapari was on his way to Holland when he and Kamaruddin Saadan (London) follewed Sukiman from Reading on Aug 22 Fri, and (with Md Sum, Atan and I) went with them to Lancaster University the next day for a night (Lansdale College). Rohani Ahmad wrote to me in mid Jul that she was on her way to Montreal, Canada, and to make a stop over in Manchester from which I wrote to ask Salmah to slip along a few cassettes; and she did turn up (and returned to) at Mcr Airport on Aug 25-26 Mon-Tue. Alias Kamis was also on his way to Canada. Ismail Sahid popped in the Village for a few days before Md Soot and I took him to Sheffield on Sep 10 Wed (met Sharifah Mastura at Clerkcourt Road and Najib Rafie, a statistic lecturer in UKM during my undergrad). My juniors in UKM also began to fall in UK, the first was Adnan on Sep 24 Wed, brought by Amin from Heathrow, while he was helping Bacok moving his belonging to Reading; nonetheless for those who were doing chemistry, they would be needed to do an advanced diploma in Kalcerton College, North Wales for a year before getting admitted in Salford (a programme mastered by Prof Phillips); an unexpectedly was Azmi Ambak to do biology in Salford (he and family) eventually settled down in Monton. The day Zuriati dropped in Eccles on her way to East Anglia, Norwich for her PhD after completion her MSc in Mahidol, Bangkok; who Maimon_Yusof and I sent her there on Sep 27 Sat (for the weekend), after watching the night before a ballet in Royal Northern Theatre. Harun, Maimunah and Laily arrived on Oct 2 Thu, a night in the Village then took them to Victoria Station on their way to Kalcerton College. The last to arrive perhaps was on Oct 8 Wed for his PhD in UMIST, one and only Mansor Hj Salleh, an MU lecturer who introduced me to RTM's Rangkaian Nasional's "Sains dan Orang Ramai" in 1973. He spent the night with me before returning to London to fetch his family to settle; thus added another family. We were getting closer since our first 'aquintance' in 1973. His wife, Kak Rokiah was like my elder sister, and she did not hide her knowledge that a boy at might age was in the hunting mood. I even let him have my car to settle his family. (I missed Md Md Tan on Oct 22 Wed at Victoria, from a message by Ibrahim Baba in Reading; he settled well in Manchester). Things would not get as speedy and merry before the new session starts in late September and soon we would be 'grounded' for a month of Ramadan. Aug 10 Sun, after much hear-say about the beuty of Lakes District, Yusof_Maimon and I, from an impromptu decision they put up last night while visiting me in the Village, went to see for ourself; excursion in the Windermere Lakes; passing the upper lakes of Ullswater, and back. The following Mon, Amin and Masdek asked me to take them to Birch Service Station on M62, to hike to the Continent. And we went again, in Yusof's car, to the Lakes on the weekend after that, Aug 15 Fri, with Md Soot along; along A6 while looking (to no avail) to taste a B&B in Clifton Village, the car broke down; called AA, towed to Penrith, then relayed via Lancaster, Trafford Park, to reach Eccles at three in the morning. Unnerved by the hitch, took my car in the early morning Sat to have breakfast in the Village, we retraced the route we got 'towed away' yesterday. After a resuscitation at Service #39, visited Brougham Castle (near Clifton - met an elderly Australian who seemed to know Malaysian better than we do); to Lowther Wild Life Park (eating in the herds of domesticated deers); down to Morcombe Bay in the evening; to Heysham Habour by sun-set; and as the night crawled in, to M6, and retired for the whole night at a service station after exit #35 near Carnforth. Sun; cruised along A65 to Kirby Lonsdale (we were asking, was the Kirby teacher training college we used to hear our teachers got their training back in the 1960s in this town?) and Ingleton with the nearby waterfalls and the White Scar Cave (on a plain - an illuminated natural cave); by mid-day eastward to cross the Pennine Mountains, along narrow and windy and steep roads, up and down the hills, and in some places had to stop to open (and closed again) the cow-gate (with cow-grill) to pass through; grabbed A56 on the way to reach Manchester by nine at night. And Yusof_Maimon, Md Soot, and I decided to see Great Britain again, this time more 'seriously', after I had the only one hair-cut in 1975, by Md Soot on August 28 Thu. We set off, Aug 30 Sat, south-easterly, said to be better weather-wise; the first stop was the unvisited Nine Stone Lady somewhere near Nottingham which we did not find it, instead we reached Nottingham in a dull, drizzling sunshineless atm, and found the Robin Hood statue and the castle. The rain got heavier as we approached Norwich where we put up with Satapah at Faifer Lane; and spent the next day in Norwich city. The Victoria shopping centre was so big, as was its underground car-park; we could not relocate our car, until it was assisted by the porter. Mon, moved on; seeing Great Yarmouth, Tubury, Middleton, and small towns to an apple plantation near Maledon; passed Dartford Tunnel under the Thames estuary to Kent county, into M2 motorway, and stopped at a service station between exit #4 and #5 and there we spent our night, peacefully in the car. Continued the following morning heading for Isle of Sheppy (and a plum plantation), down the east coast, the beaches of Herney Bay, Clifftonville, Kingsgate including the viking ships and the hovercraft at Hoverlloyd; finally to Brighton, where we put up with Ramli Jaya in (17) Upper Wellington Road (failed to find Azahari in the hall of the University of Sussex). Sep 3 Wed, we spent many hours in British Home Office's Lunar House in Croydon, London, to get our visa renewed for another 12 months. And it was in the evening when we reached Sibly Hall, Reading, for the night with Wan Mohamed et al. The next day, westward, to see the Stonehenge, to Salisbury and Lyme Reges. It was almost mid-night when we reached Exeter, dissolved in a fully-packed car park near the Maritime Muzeum and fall asleep. Then I was awaken by a lot of noises, and the noises slowly disappeared and quite, then I sighted a flash light, foot-steps, a shine in my car, I aped I was sleeping, then I heard "its alright, they are sleeping, I think they are Indians! ", and we slept like four logs to the next morning (only our car remained there on the Fri morning). Apparently we were sleeping in a car park near a pub near the Exeter Maritime Muzeum. Judging by the building of the muzeum, we did not bother to wait for it to open for the visitor. Instead we drove to have our breakfast in Plymouth (about 8.30 am) at a seaside coffee shop; we were asked to go away by the waiteress when she saw we were eating our bread although we were drinking their coffee. Bought our lunch at Truro and had them in Falmouth seaside, and on to Lizard Point and The Lans End by the evening - the hidden intention when we left Manchester on Aug 30 Sat. It was sun-set when we moved on, no other alternative but back to Exeter. But before we reached exeter, I was too tired, we slept in the car on a lay-bye along A38 about eight miles to Exeter. Sep 6 Sat trottled back to Manchester on M5 then M6 passing Bristol (about noon), a hitch (and fixed) on the car on entering M6 and reached Castle Irwell at about seven. 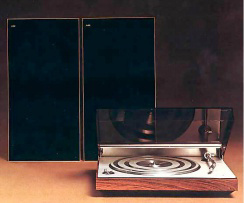 The 'noise' was picked-up by a Beogram 3000, amplified by a Sansui AU 7700 and vibrated on a pair of Beovox 3800. We did not know that Ramadan 1975 was on September 6, so we started it the next day Sep 7 Sun. And apparently in Sep I was made to host many who took their turn to go around to see GB. Sep 11 Thu, in the cold morning of Sep autum, Atan Sharif knocked my door and delivered Dr Jamjan and his wife Dewi, the new UKM Chem Dept Head. This was the first time I met him, although I had heard his name and his flying colours since 1967 in SAS. He came to Salford under IUC, met his host Dr Blackburn, took to stay in Piccadilly Hotel, a chat in Jamal's flat in Eccles the next day, and the next day took him to Leed to hunt for Ariffin Aton and finally to Piccadilly station on his way to London. They were then 'replaced', Sep 14 Sun, by the Norwich friends, Hamdan and Satapah (and wife), and also Azahari, who apparently was on his last leg for in a few weeks time was going home to UTM with MSc for good. He was the first among my batch to accomplish the mission by UKM graduates going to overseas since Sep last year. I tagged him to stay for another day, Sep 16 Tue, so that I would have time to buy a watch-necklace for him to take to Salmah (about which Azahari did not say a word) as a token from me for her tirelessly writing (even sending for me a piece of cake via Dr Reed on Oct 22 Wed who returned to Kalcerton from three months IUC exchange in UKM) to me to keep away Ms Loneliness; the night following which I was messaged to meet Dr Jailani Sukaimi and Dr Ishak Tambi Kechik in Oakland Hotel, Manchester, for a chat while they were on Europe tour with the Ministry of Education officials. Sep 22 Mon, new session began; it was like I had just arrived. Post graduate reregistration was on Sep 29 Mon; somehow I missed it, I did it the week after that, Oct 6 Mon. Aslam had moved, as plan to North Wales and probably began resuming his works from today; I was given extra space by Martin. Aidilfitri was celebrated on Sunday October 5, we did it in Ellesmere Ave, the flats of Yusof-Maimon and Jamaluddin-Siti's family; roughly about 60 participation. We helped, both the post-grads and the under-grads; two days before that. Shiboya_June, the Japanese family (a electrical engineering PhD student at Salford) living in the ground floor also joined us in the celebration (in their kimonos). In october one could sensed the winter cold. They said that winter was the best time to work in the lab, and the best experimental results were surfacing in winter. I believe it, I worked through to early 1976 and I compiled most of my best experimental data on the viscosity of my polymer. I was the only student Dr Pass had in Salford, Aslam and David Wedlock (post doc) were in Kalcerton, so he could spend more time with me; except Charles Khunsa the Ghanian who was photocopying to submit his thesis; who cheated me 40 pounds on Nov 24 Mon; who I helped moving his family (Margeret and son Eddi and lugage) from Peel House to Belle Vue on Dec 20 Sat, and the following day to Mcr Airport en route to Ghana and back to Belle Vue because Mcr Airport was on strike, who said he would pay when he returned to Ghana - and he never did that. And I began to scribble word on paper for what I anticipate to become my thesis. Nov 8 Sat, Siti born a baby boy, in Hope Hospital, and as in May, I was made to ferry many 'visitors'; doubled Jamal's happiness after receiving a telegram about a month ago from Dr Jamjan to disregard the letter he received from the UKM registrar who asked him to go back to Malaysia after finishing his MSc (which was about then), and thus continued to PhD under Prof Bark. Dec 5 Fri, my indispensability, I was needed to transport the bride, Rosmani who was marrying Abang Abdullah in Salford mosque; the morning after which I found that my car was missing (stolen); the day I supposed to help Mansor to move from Murry Street to Upper Chorlton Road. I made a police report at the Crescent Police Station; the CID came to my room at night, asked some questions, and (apparently standard police questions) asked if I had any reservation on the possible thief. It was Alias who spotted the car at Lilac Court, Churchill Way, Salford Pricint on Dec 8 Mon morning; it was my car, I phoned the police and took the car (undemaged - it was just a joy-rider thing); the CID came to my room again the following night to close the file, and we talked about the hi-fi for he was a nerd in it. And the Eid Adha was on Dec 12 Fri; I joined the prayer organised by the Islamic Soc in the Union House. Zizah wrote to me that then monsoon was high in our place and the area was flooded. This year winter was even colder, and I almost unabled to stand the strong pressure of loneliness, the distant sound of haulers on the motorways and the hissing sound of blowing winter wind almost cracked my skull. Some friends dropped in on the year end days: Ismail Kailani_Zainab, Latif Awang, Omar, and a letter from Azahari, who had already began his lecturership and even in another mood to come again to England for his PhD, Wahab Kosai, Hamin Rajikin_wife, Ismail Sahid; and obviously a lot of drop-in to the families of Yusof_Maimon, Mansor_Rokiah and Jamal_Siti. The year receded fast from the X-mas break (I handed on Dec 19 Fri the songket for Dr Pass and batik for Martin - who 'repaid' with a bottle of sherry which I then gave to somebody else I did not remember, for the X-mas; the items that I did not forget to take along in Sep 1974); the shops in the city were decorated for the celebration, the songs, on TV (I reckoned only X-mas songs and adverts on TV, nothing else), in the mall, in the shopping complex; in the long darkness of the winter days.